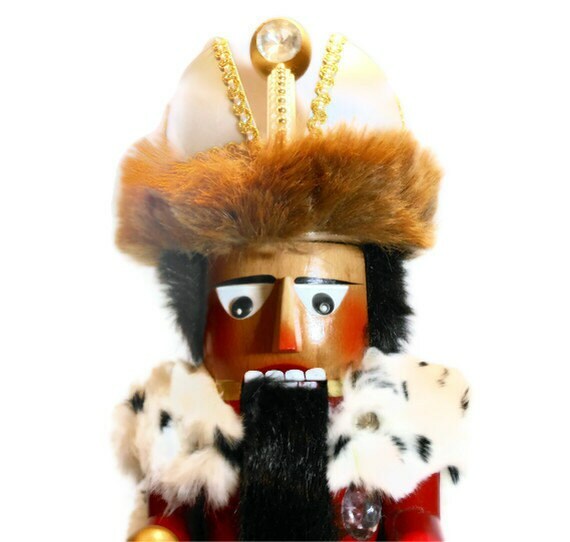 1995 Christian Steinbach Nutcracker - H.M. 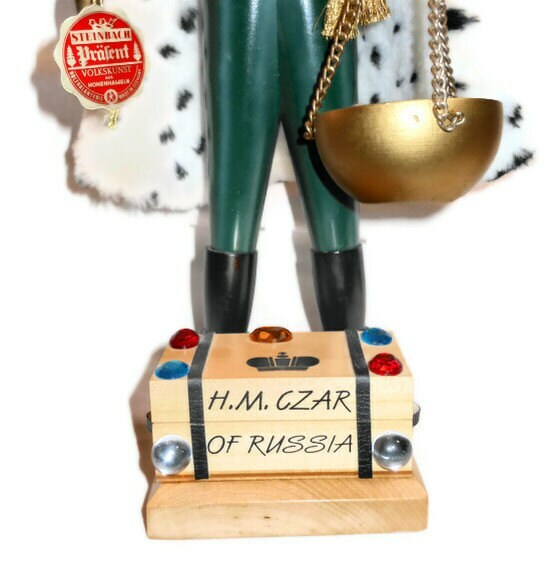 CZAR OF RUSSIA signed by Christian - very collectible! 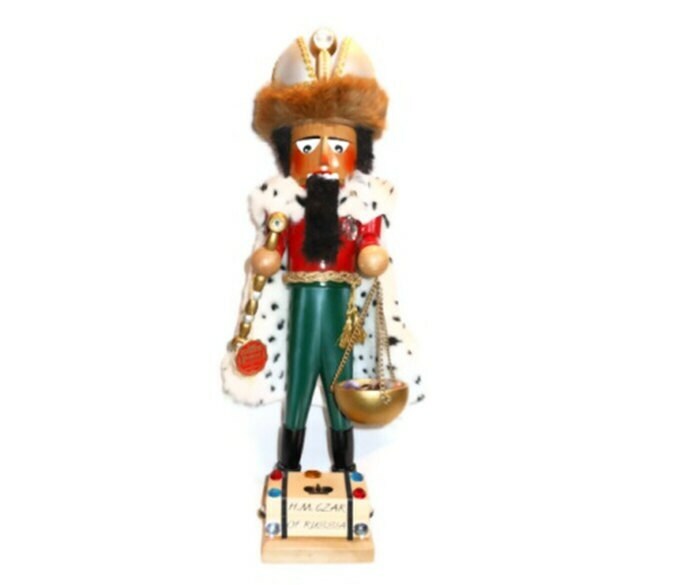 This nutcracker was signed by the company's founder in 1995. He died in 2007. It has the original tags. The arms are removable, see last photo. 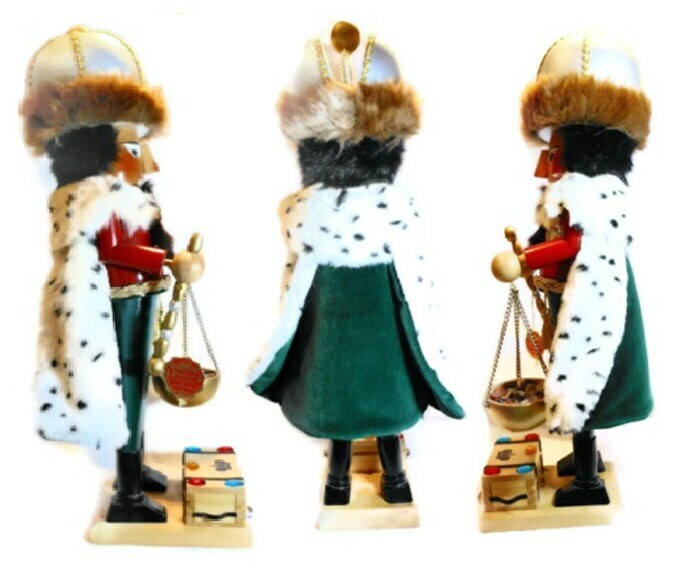 There is a little flaking to the staff, ball on his head and the bottom of the basket of gems and there is no original box else in very good vintage condition. 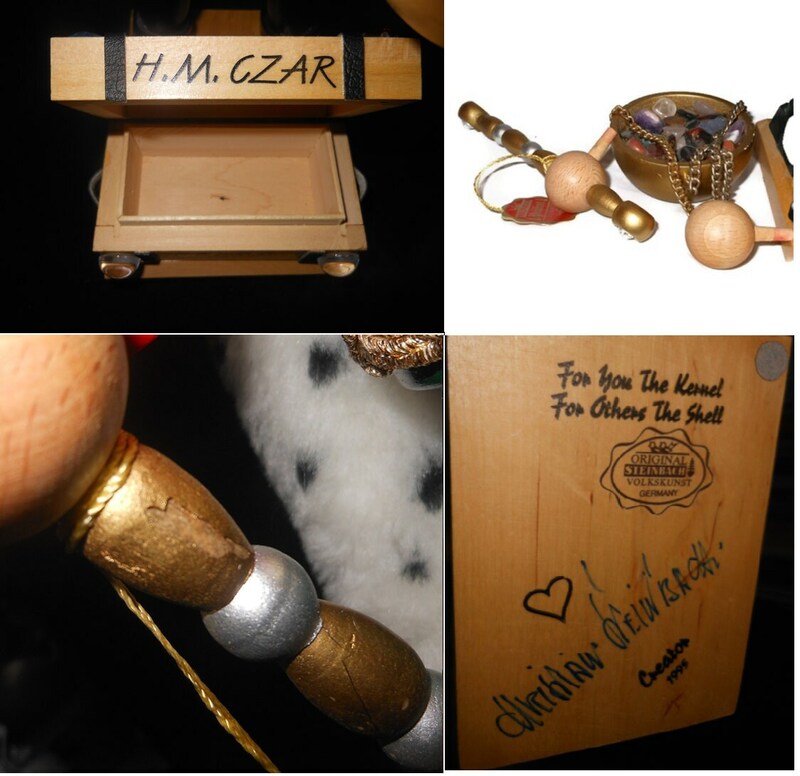 Usable opening box and the stones in the basket include amethyst, tigers eye and unakite - one has a small chip. 1. Now with free shipping on most additional items in the United States. If you are out of country and your package is small enough to lower shipping, I will refund any difference over $1. 3. All measurements are approximate. 4. If you want to save this item for later or make a ‘wish’ list to share with others click on the ‘favorites’ link next to the ‘add to cart’ link. 5. For questions click on the contact link under shop owner info on the right. 7. Gift-wrapping and drop shipping available. Contact owner.